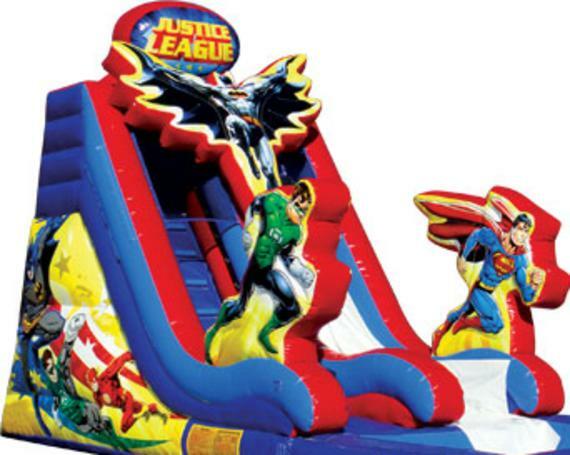 The Inflatable Justice League slide is a fun way to party like a superhero! All your favorite characters are featured on this highly detailed slide including Batman & Superman. Fun for all Ages!